Nepal Trekking Checklist | Where Have You Been Lately? 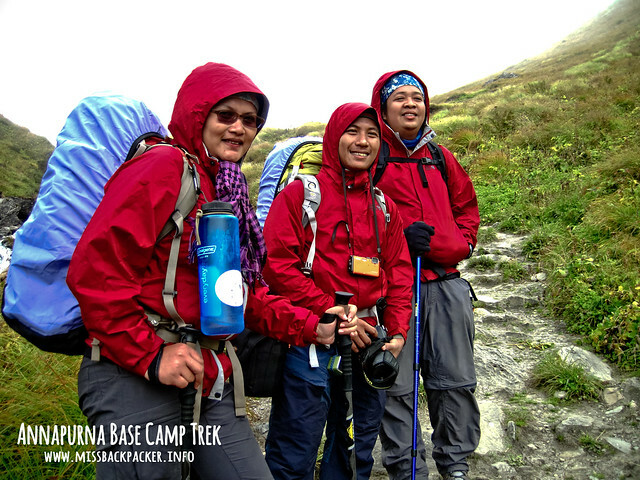 Trekking in the Himalayas is a lot different compared to how we trek here in the Philippines. Unlike with our 4×4 type of trails, they have established and laid out pathways, mostly of bricks and slabs of stones. But what makes Himalayas trekking really unique are the tea houses or lodges (I’ll talk more about it in my future posts) where you can spend the night after a day of exhausting hiking. With that being said, tents, cook wares, stoves, and lanterns are no longer required. What does one need then to successfully trek in one of the mountains in the Himalayas? 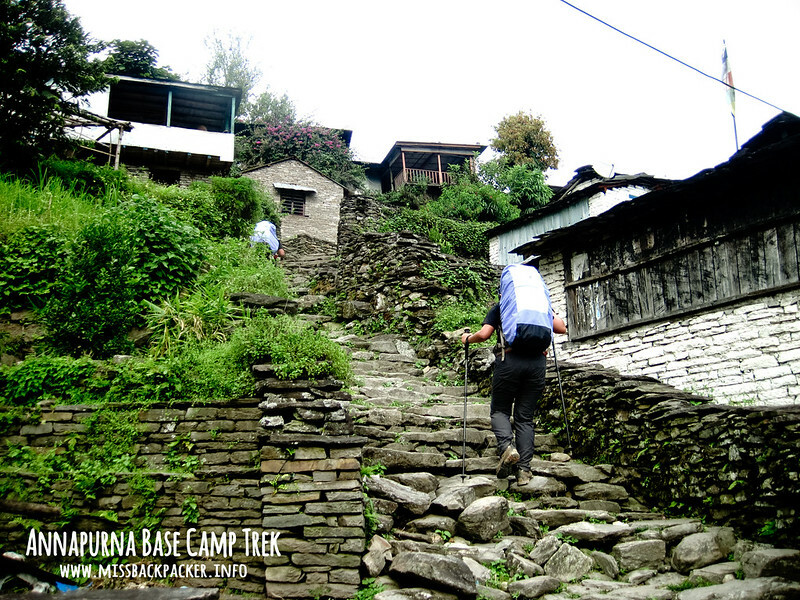 One of the trekkers’ main goal is to always pack light. So, regardless if you’re hiring a porter or not, bear in mind that someone will carry your stuff. You can’t bring all the things that give you comfort back in the city because they will only make your loads heavy. You have to let go of things in order for you to trek with ease. Now, to remind you of all the necessities during your trekking activity to wherever part of the Himalayas region, I made a checklist of the essential stuff (with snippets of their importance) you must have inside your backpacks based on my trekking experience. Some of these are and will be discussed in my blog posts. Passport – It’s an unspoken rule when traveling abroad. Visa – Really, you can’t enter Nepal without this let alone trek. TIMS Permit – A requirement before trekking implemented by the government. ACAP Permit – May be different if you’re trekking to the other parts of the Himalayas region. Insurance – Helps you save money should accidents happen. 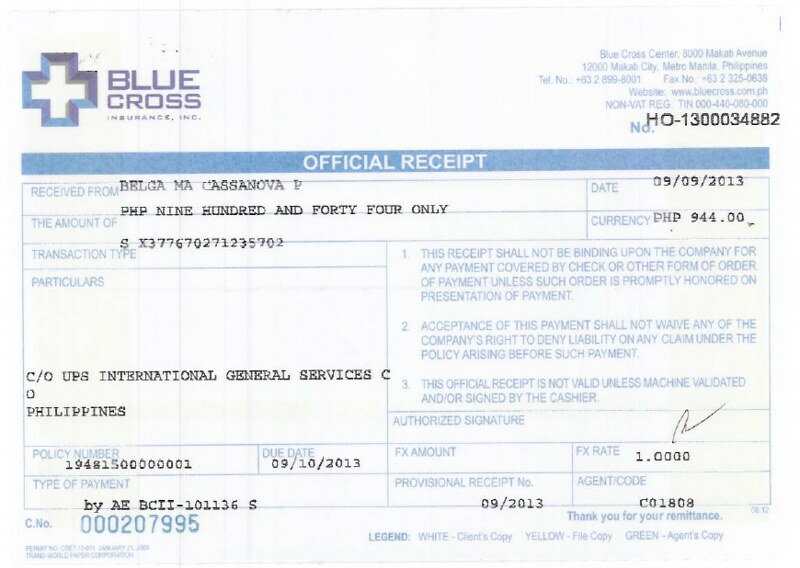 Sample of a receipt provided by an insurance company. Rain jacket – Weather in the Himalayas is unpredictable and this will keep you from getting wet (and cold) when it rains. Down/ Shell / Fleece Jacket – The type of jacket is all up to you as long as it keeps you warm. Set of trekking clothes – Must include shirt and pants that dry easily when wet. You can wash your clothes when you arrive at the tea house; that’s what we did for seven days, mostly during afternoon. Sturdy trek Shoes – Waterproof trek shoes are recommended since some parts of the trails include creeks and streams. But if you prefer trekking in your good ‘ol flops, that’s perfectly fine. Set of sleepwear – Honestly, you only need one set because you’d be changing back to your trek clothes first thing in the morning. Two sets of socks – You need one pair for trekking and another as part of your sleepwear. Slippers / Sandals – You must let your tired feet breathe after a day of hiking. Besides, you also need to wear something if you dare take a bath. Bonnet / Head gear / Scarf / Balaclava – This can make the flying strands of your hair stay in place when trekking. Helps you avoid getting trapped in a trail full of branches. Agot, Migs, and husband Rowjie of The Himalayas Project approaching the Annapurna base camp. Flash light / Head lamp – Some tea houses, especially those on higher elevation, use solar electricity only in the morning. A flash light or head lamp is very helpful at night. Trekking poles – It’s always better to walk when you have four feet; trek poles are your third and fourth. Whistle – This is very handy yet important if you get lost in the trail and needs help. Water bottle – You need to hike for at least two hours before you arrive at the next village where water is available. Backpack – The less weight, the better. Also make sure that it fits your back perfectly. Rain covers are a plus. Sunglasses – The sight of the snow at the base camp tends to be really bright and might give you a difficult time without your sunglasses on. 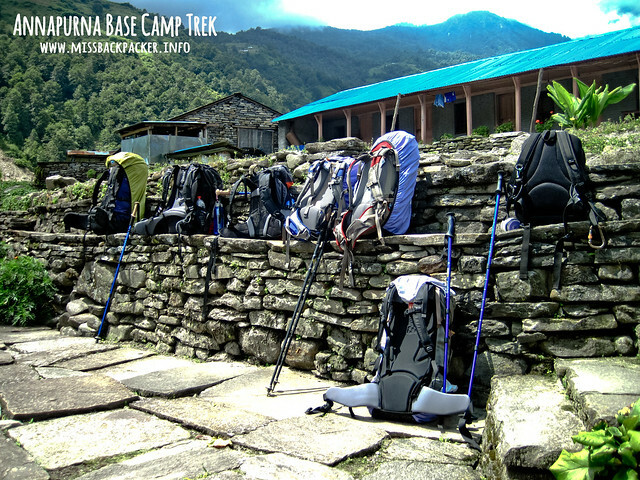 Our backpacks and trekking poles. Alcohol – There are parts of the trail where ferocious leeches are prevalent. You can shoo those blood suckers away by spraying alcohol on them. Dry or wet tissue – Er. Shampoo / Conditioner – You can take a bath in some of the tea houses for free hence this is needed unless you don’t shampoo your hair. And oh, sachet only. Soap – No explanation needed, I guess, but bring the smallest soap you can ever see in the market. Underarm protection – Personal hygiene, my friend. Moisturizer – To avoid blisters, moisturize your feet before going to sleep. Sun block – Protects your skin from getting burned. Diamox – A type of medicine that can apparently cure mountain sickness. Too bad, we don’t have it here in the Philippines. Pain reliever – I’ve tried and tested Advil, it really works for me. Bandage / Gauze – For cuts, blisters, bruises, and other form of wounds sustained from the trekking. Oximeter – This measures your oxygen level and pulse which are the deciding factors whether you can continue on with the trek or not. Sleeping bag – The tea houses provide heavy and really thick blankets. Thermal gloves – Be reminded that the hands are one of the first parts of our body that gets very cold especially at night. Water filter – If you have sensitive digestive system, better bring this or over-the-counter iron supplements. Salt – Leeches mysteriously explode when showered with salt. Umbrella – Alternative for sun block and rain jacket. 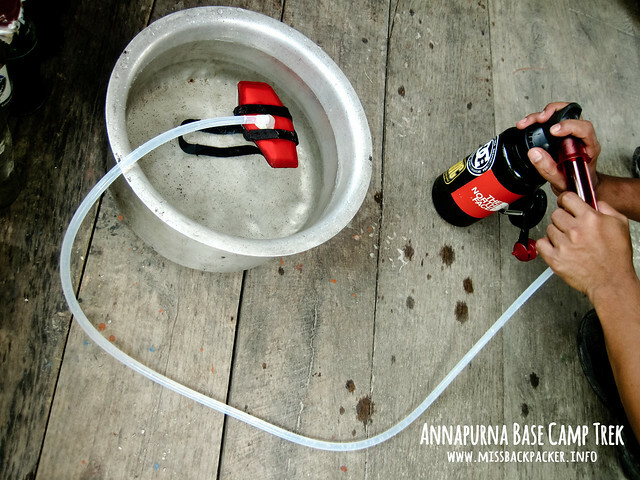 Our water filter c/o our partner Pinoy Outdoor Gears. Pocket money in NPR currency – Tea houses only accept Nepali Rupees. So if you want to eat and sleep somewhere dry and warm, better bring NPRs. Trail food – Saves you from starvation especially when the next village is at least four hours away. Camera – Camera phones are good but trekking in Nepal is a rare moment so make the best of it, capture every amazing moment through your handy DSLRs. My needs differ to yours. Some of the things listed here may not be applicable to you and I may also have missed some items. But always remember these two words, LIGHT and NEEDED, if you’re not really convinced. 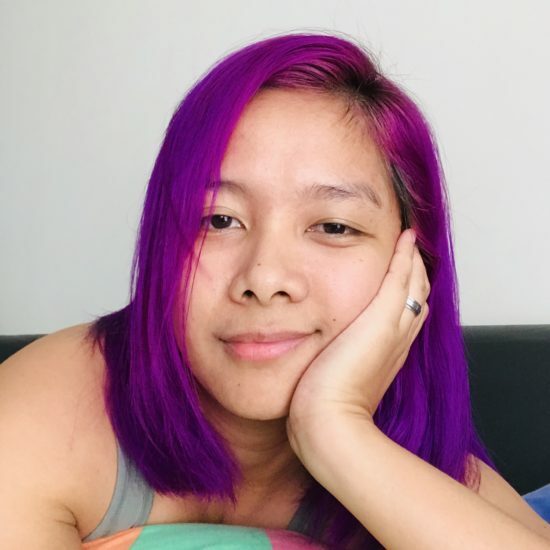 Take it from someone who almost gave up because of her heavy backpack.